REDUCED - Was £9.75, now £6! 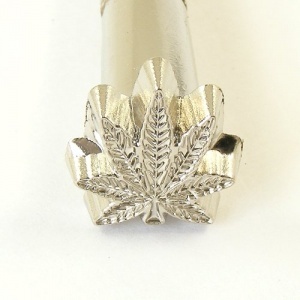 This is a leather embossing stamp in the shape of a hemp leaf. This is the medium sized stamp of 3 sizes, and measures 16mm wide x 17mm high. Please see related items for the other 2 sizes.